You’ve probably heard your whole life that mold is bad, but what exactly about it is bad and what does it do? Mold can cause many different harmful health conditions to those who are exposed to or are living in a home with an unaddressed mold problem. 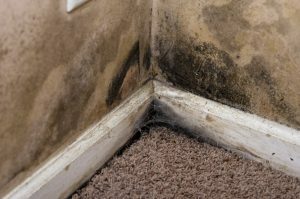 TRAC Solutions offers mold repair services to Chippewa Falls and surrounding areas is here to explain the 4 of the different harmful effects that result when someone is exposed to mold or living in a home with a mold issue. Issues for those sensitive to or allergic to mold. Because some people are more susceptible to mold than others, different people may experience different reactions when there is mold in their home. Some are so susceptible to mold that they are considered to have a mold allergy. If you are susceptible to mold, you will likely experience coughing, wheezing, sneezing, congestion, an irritated throat, skin irritation, and/or watery, sore, or dry eyes. If you are allergic to mold, you will experience more extreme versions of these same symptoms. Mold also has a marked impact on asthma. For those with already existing asthma, living in a moldy environment has been known to trigger asthma attacks and worsen other asthma symptoms. Living in a moldy environment can also lead to the onset of asthma, especially for those already predisposed to it. This is particularly true for children who lived in a moldy environment during their early childhood. Mold can also lead to infection to those who are exposed to it. This is more common in people who have weakened immune systems or have a preexisting lung condition such as Chronic Obstructive Pulmonary Disorder (COPD). Many of the symptoms of mold infections are similar to those of mold allergies. If you think you may have an infection, seek medical diagnosis and treatment. In severe cases, mold can lead to various dangerous chronic conditions. Some molds release toxins that are absorbed into the body. These toxins can result in bleeding in the lungs (pulmonary bleeding), pulmonary fibrosis (scarring in the lungs), and/or neurotoxicity. They can also cause a variety of digestive, cardiovascular, kidney, liver, immune system, and blood issues. The toxins from these aggressive molds can pose a severe threat for pregnant mothers and their unborn babies and can lead to many harmful and even deadly conditions for them. The young and the old are especially at risk of developing a chronic condition as a result of living in an environment with these mold toxins. Many of these conditions that result from the toxins have no cure and can threaten the life of the person who has them. In order to avoid any of these health complications caused by mold, carry out preventative measures in your home to avoid mold problems. In the case that you believe that you have mold in your home, contact a mold damage restoration company to remove the mold and repair the damage caused by it. This will help you eliminate the risk of mold compromising your health or the health of any of your family members. If you live near Chippewa Falls, contact TRAC Solutions to assist you with any necessary mold repair.